If you are at this site you likely are already a patient of Olney Medical and know all about Dr. Edward Taubman and our wonderful staff. 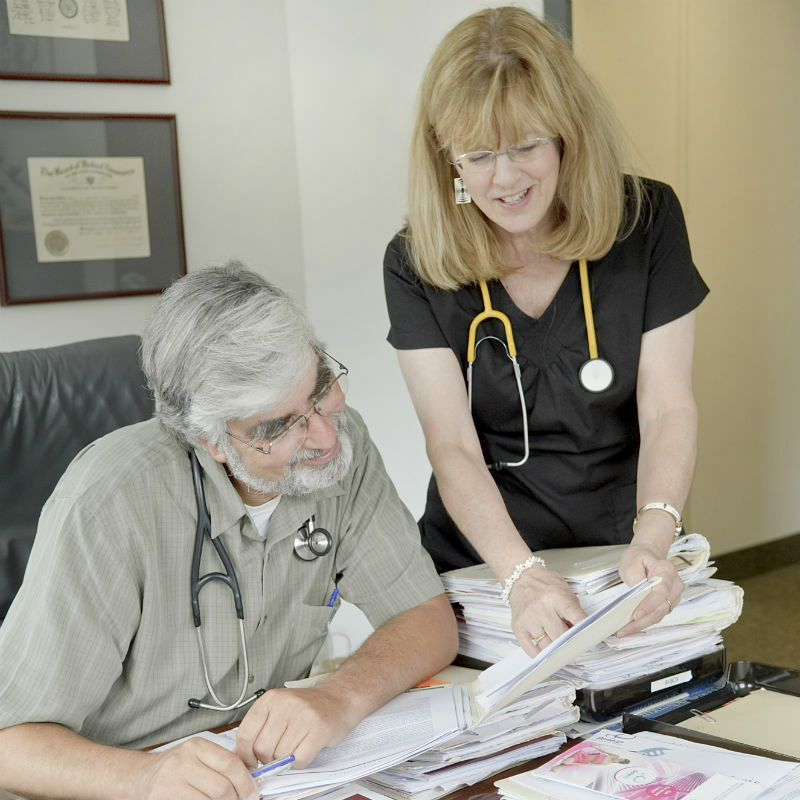 Olney Medical was started by Dr. Taubman in 1979 and has since attended to tens of thousands of patients and their families in the greater Olney area. The practice has repeatedly been rated by patients and physicians as “Top Doc” in Washingtonian and Checkbook Magazines. Dr. Taubman, in addition to his expertise as a primary care physician, is also a local expert in the hereditary aspects of cancer and is a graduate of the City of Hope Program in Cancer Genetics and is a member of the Fisher Center for Familial Cancer Research at Georgetown Lombardi. Dr. Taubman writes a number of health blogs and is the medical columnist for the Greater Olney News. Phlebotomist is available 8:00 to 12:00 M-F and in addition 1:30 to 4:30 Mondays, Thursdays and Fridays ; no appointment is needed. You are encouraged to have your bloodwork drawn at least 2 weeks prior to your Physicals so we will have the results when you come in for your check up. Physical bloodwork should be fasting with nothing to eat for 10 hours though you should drink plenty of water – black coffee is acceptable.